Welcome to the Yarmouth School Department’s new website, app, and social media communications platform. 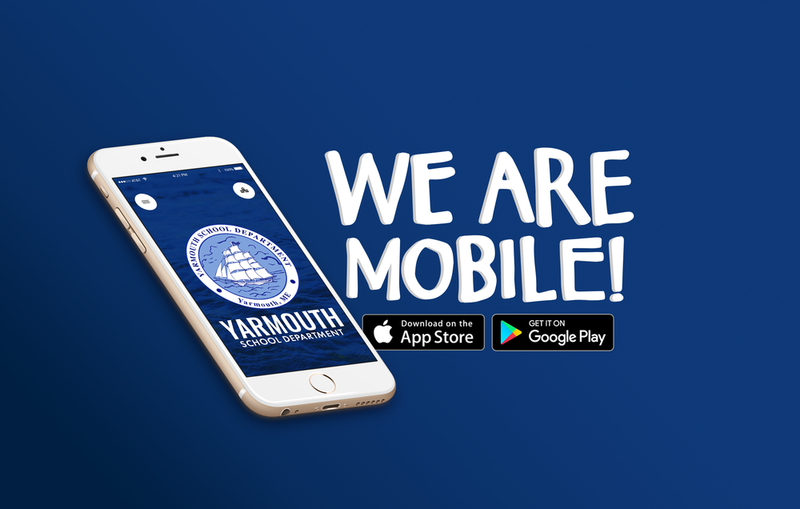 One of the most exciting pieces of this news is that we now have our own Yarmouth Schools app, so you can stay up to date while you’re on the go. This technology will allow us to more efficiently distribute news, notifications, and alerts to a broader audience by connecting our various school web sites, twitter accounts, and calendars to an app for your smartphone, giving you the capability to select your own areas of interest within the Yarmouth Schools. Though it may take you a while to become accustomed to the new design of our website, the information provided here will be focused on current and upcoming events to keep you up to date on the happenings in our schools. Once you download the app, you can select the areas within our schools you would like to track by clicking on “settings” and choosing your preferred sites. Only have students at the High School, but are interested in things that may be happening at Rowe School? Feel free to select updates from both schools. Have a particular fondness for Clipper Athletics, but also want to know more about the school budget and facilities planning? Select Athletics and YSD (Yarmouth School Department) in your personalized app. You can choose as many or as few areas as you’d like, turn on “notifications” and our live feed will start sending things your way.